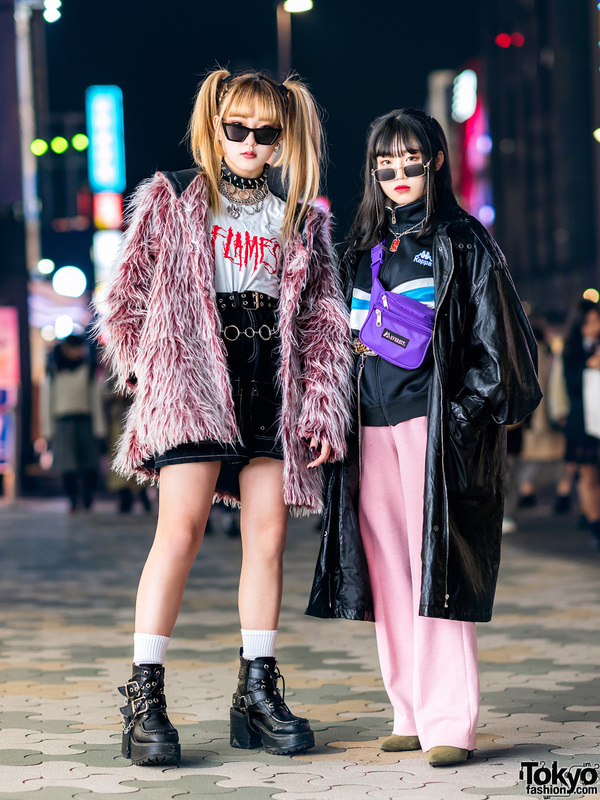 While in Harajuku, we came upon this teenage duo whose brightly colored streetwear styles certainly caught our eye on the street. 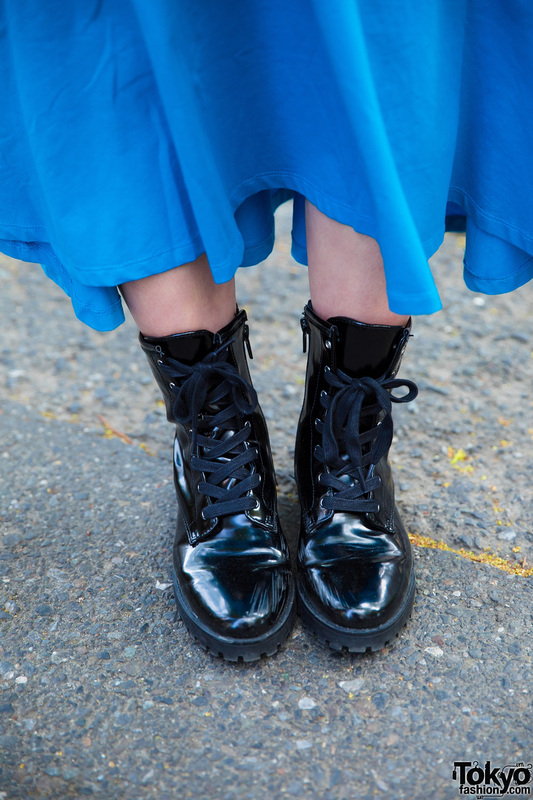 At the left is 13-year-old Reina, who is dressed in a light blue dress with contrast dark blue collar and sleeve stripes from Rid.dle From, and paired with black patent leather boots from H&M. Her accessories – from Spinns and Trial – include a black beret, studded gem earrings, and a brown leather belt. 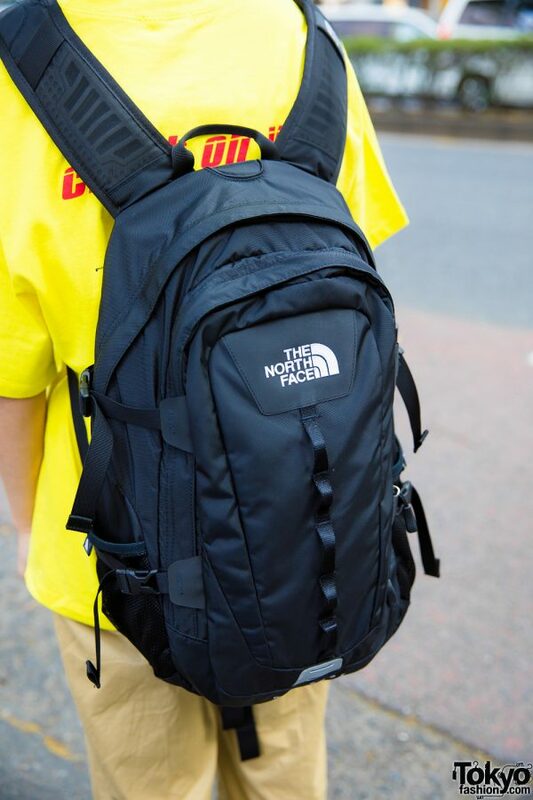 In addition, she is carrying a black skull print backpack from JanSport with a stuffed gorilla toy keychain. Stussy and Bershka are two of Reina’s favorite brands, and she enjoys the music of Fifth Harmony. Follow Reina on Twitter and Instagram. Meanwhile, Yayako’s outfit consists of a bright yellow 8 Continue face print t-shirt, worn over khaki flared pants from Bershka, and paired with black Dr. Martens boots. 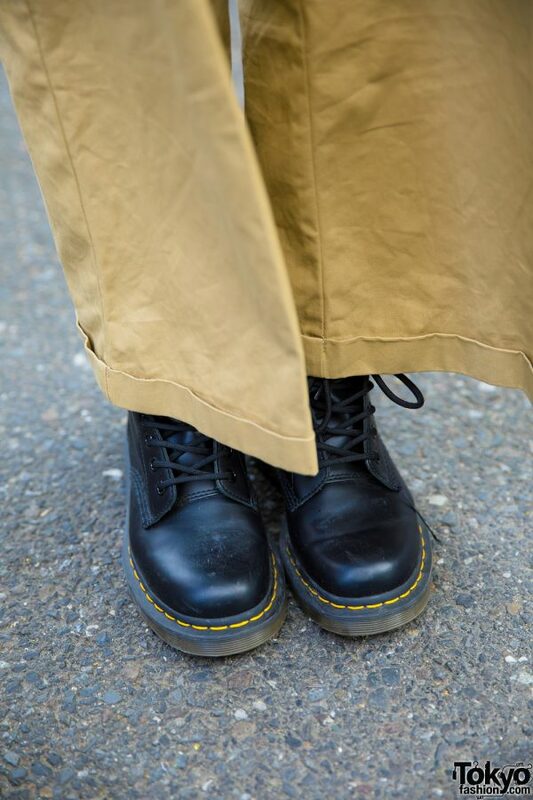 A black The North Face backpack, a black velvet newsboy cap from Zara, and blue lipstick rounded out the 13-year-old student’s style. Yayako’s list of favorite fashion brands include Zara, H&M, Y’s, Bershka, Forever21 and Mac, and she loves listening to the music of Hailee Steinfeld, Ariana Grande and Zedd. Yayako is also active on Twitter and Instagram.